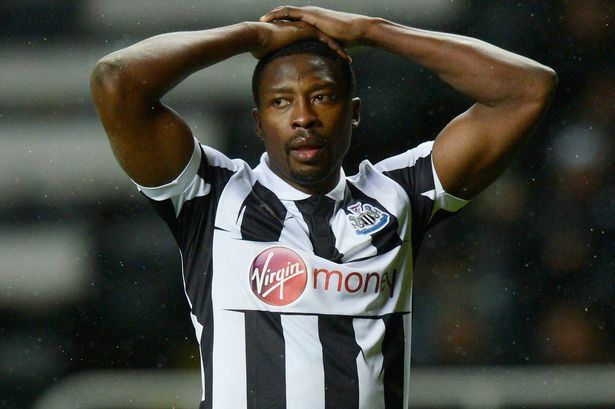 Shola Ameobi’s 13-year association with Newcastle United may be about to end after it emerged the club have yet to open talks with the striker over a new contract. Alan Pardew has been keen to tie the long-serving forward down to a new deal, but Ameobi’s agent Steve Denos has revealed there has been “no dialogue” between the club and the forward yet, and his future is clouded by increasing uncertainty. 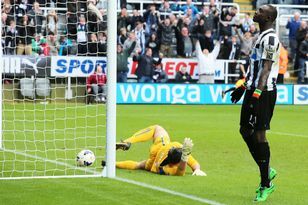 With Ameobi looking to play more first-team football next year, it is looking increasingly as if the club may be about to lose another one of their stalwarts in a summer that has already seen Steve Harper depart. The Journal understands that Ameobi’s advisers will seek fresh talks with the club now that Joe Kinnear – who spoke effusively about the striker when he was manager at the club – has been appointed United’s new director of football. But the Magpies’ move for St Etienne’s Pierre-Emerick Aubameyang is the start of a summer overhaul of their striking options which will also see youngster Adam Campbell promoted to the first-team squad if he impresses in pre-season. United made an enquiry about Aubameyang earlier this week and appear on the brink of tabling a formal offer for a player who has given them encouragement by claiming Newcastle are a “good club” this week. Such a move would push Ameobi further down the pecking order, and the uncertainty over his contract may now push him to look elsewhere. Kinnear’s appointment has changed the agenda at Newcastle, with Pardew having used his initial contact with the new director of football to push his own belief that more Premier League experience should be sought over the summer. He has been advocating a new deal for Ameobi and back in March he said that there would be “no problem” sorting it. But he acknowledged before the end of the campaign that the striker was keen to play more first-team football next season. United’s summer recruitment has begun in earnest with several enquiries made this week in France. Defender Kurt Zouma, also of St Etienne, is a target, although United’s priority is to sign “at least” one striker. They have also started sourcing midfield options with Yohan Cabaye’s intentions unclear. The club expect him to express a desire to leave when he returns for pre-season training, but will try to persuade him to stay. Kinnear tried to clarify his role in transfers again yesterday, suggesting he may go on European scouting missions with influential chief scout Graham Carr. “We will look abroad again with Graham Carr. I have had three days with Graham already,” he said. TWO successive victories have thrust Benwell Hill into the Premier Division limelight and made them the leading Newcastle-based team in the top flight ahead of their home game against bottom club South Shields.